Lately I’ve been perusing store magazine aisles again. It used to be that the homes and gardens featured in these magazines were huge McMansion-type homes, unattainable for people like me. But now that has changed. Every time I scan the magazines in the home and garden area now, I see these words pervasively: Small Space…Small Garden…Container Garden…Living Small. Times have changed, and living small, leaving a smaller carbon footprint, is all the rage. I am once again picking up these magazines because I am excited about this movement. I write a lot about small space living and gardening. 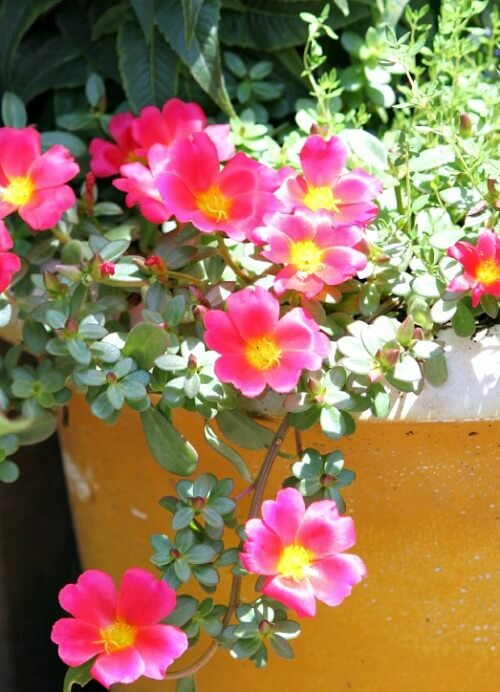 And today I’m going to give you more reasons to want to garden in containers. It will save you money. Everyone loves that one! Because you are caring for a container garden, you will save on water and the price of seeds and tools. A big in ground garden can get expensive to maintain. 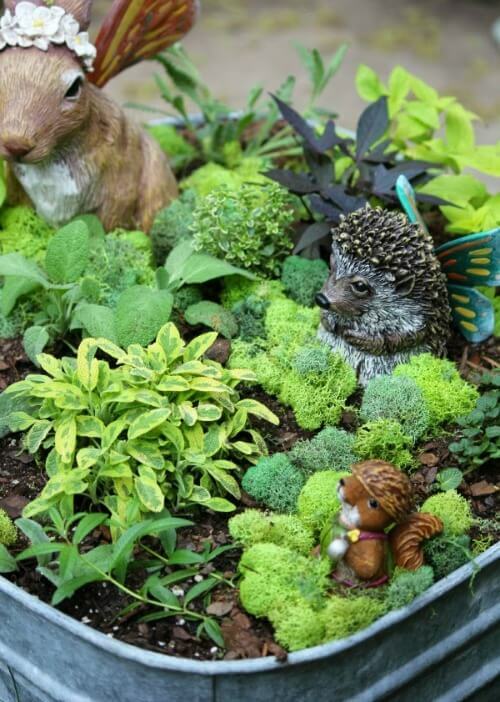 A small garden also gives you a better yield on the money you do spend. Small areas are perfect for herbs. Purchasing herbs in the produce section at the grocery store can get expensive. Have a pot of herbs by the back door and you’ll always have that seasoning right at hand. If you’re expecting bad weather, you can bring a container inside if need be. It also means you can change out plants with the season more easily. Another reason to garden in containers is that you have all kinds of options when it comes to location. You can move containers if they aren’t doing so well in a certain area. Many plants can become invasive and take over a garden. Gardening in containers also means there is no spread where you don’t want it. I rarely see a weed in my container plants. 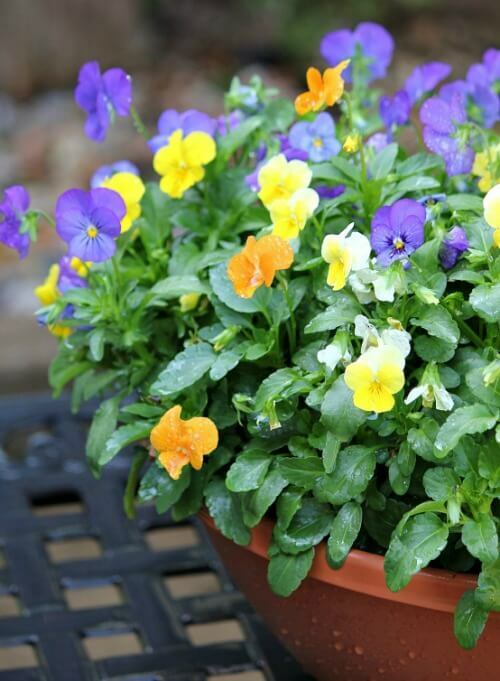 Containers once planted mostly need watering, dead heading and sometimes dividing. 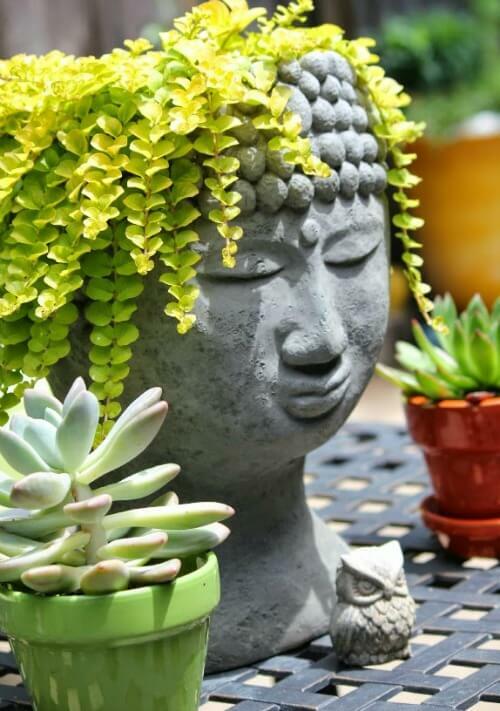 Gardening in containers means your time is freed up to do other things. You can spend less time on garden maintenance and have more time to do something else, like enjoy another hobby, entertain, or read a book. It takes a lot less water to water a pot than it does a big garden. Not only that, but you can target the watering. More water for some pots, less for others. Again, you have more control to tend to individual plant needs. 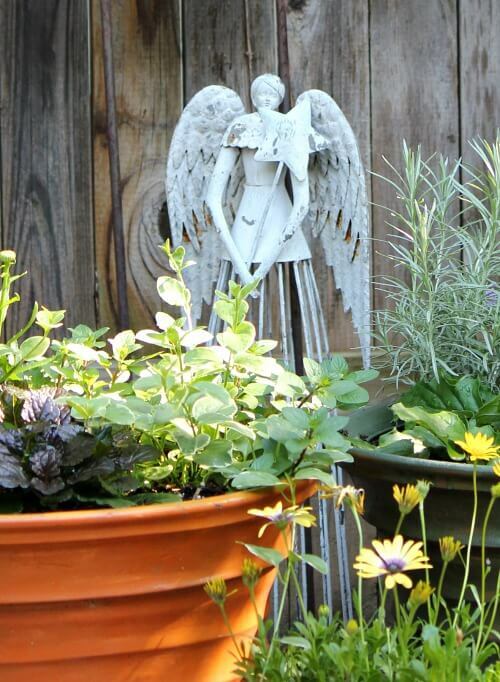 You can create absolute magic with container gardens. 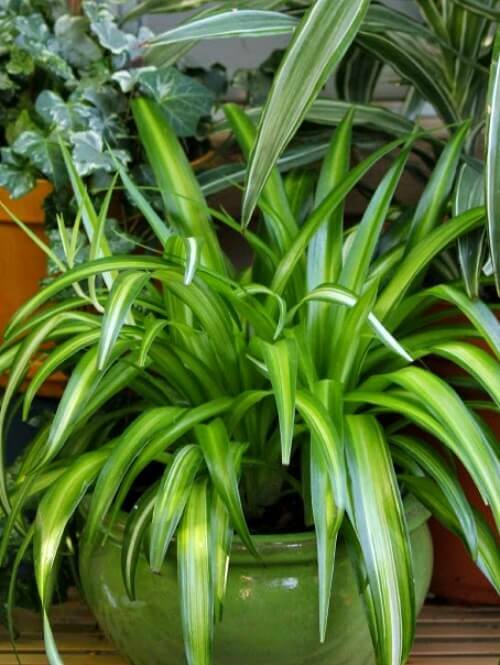 You can design with all manner of pot colors, shapes and sizes. You can arrange pots to your heart’s content. You can group containers in a decorative fashion, giving it a style of your own. You can elevate some plants behind others for dramatic interest. You have endless possibilities with containers. I guess that’s what I like most about gardening in containers. Maybe you rent your home. If you garden in containers you can take your containers with you if you move. Therefore you aren’t losing out on your investment. I have my tree on rollers and can push it all over my patio so it gets the optimum amount of sun it needs. I can adjust the light it gets by trial and error. Having that big pot on wheels is so much easier on my back. So if you want to make things even easier, put your pots on wheels and roll them around with ease. Your back will thank you. People who are disabled can garden in containers with more ease. Even if you’re in a wheelchair you can have a container garden. Some people just can’t get down on the ground and get back up. As I get older I find that each year it’s a little bit harder to do what I did easily the year before. I tend to my containers by rolling around on a little garden cart that I’ve had a good 20 years. 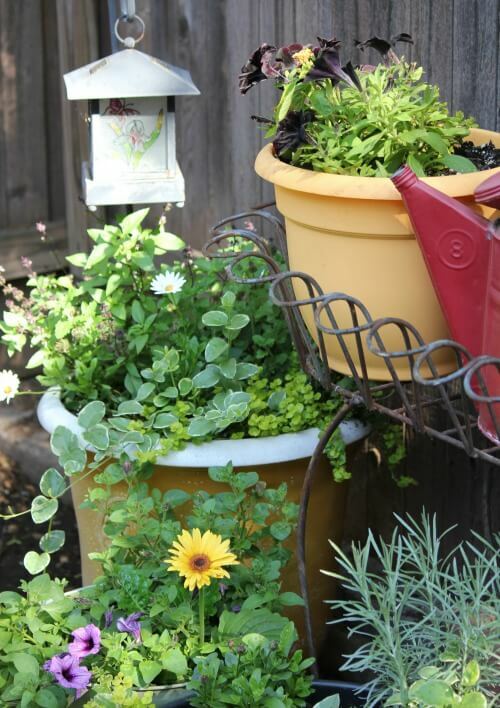 Have I given you enough reasons to try container gardening? Next time you’re in a store with magazines go check them out. I think you will see more magazines zoning in on container gardening. Seeing your photos makes me long for Spring. Can’t wait to get to the local nursery and get some plants. Thanks for the good tips. Very smart on your part. Where are Abbi and Charlie? Need more pictures please. I just took some pupster pics right before I saw your comment! I love container gardening. I find I am much more successful that way! It is a gorgeous sunny day and I am about to visit a couple of locally owned garden centers. One center specializes in containers of all shapes and sizes and they do have beautiful flats of annuals as well as perennials. The other center has quite a large selection of shrubs and trees plus the usual bedding plants, etc. I can spend a couple of hours just wandering through these garden centers and as an added bonus, both centers have quite the menagerie of friendly cats. Your photos today are just beautiful. And I too love the trend toward smaller spaces.